I recently had the pleasure of reading the e-Arc for this book, and I absolutely loved it. It was quite a touching story that has really stuck with me. It does deal with teen pregnancy, and I thought for sure I would hate it. But I didn't. I loved it. This book will be a welcome addition on my bookshelf! So what are you WoWing for this week?? Leave me a comment with your link so I can check it out! What really strikes me about this book is the different tone it takes with the "teen pregnancy" issue. It's not all "When Elly finds out she's pregnant, she stresses on how to tell her uber-Conservative parents, her college-bound boyfriend and the ever-irritating Bugs Bunny." That alone piques my interest. I actually think I might really like this one. And from what you said, it sounds like it deal with the teen pregnancy issue very well. 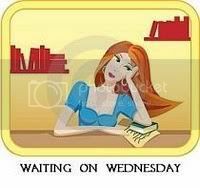 I'm adding it to my TBR! I am with Rubita on this one the premise has a much different vibe than other teen pregnancy books so I think I might like it too. You just answered my thoughts. I'm not really also into reading books with teen pregnancy but since you said it's great, I'll totally check this out! Thank you, I hadn't heard of this one until now and it sounds really good! I'm glad you liked it that mcuh and I look forward to read your review on it. I haven't heard of this book, but it does sound really good. I don't think that I have read anything involving teen pregnancy either. Well besides Bumped, but I couldn't finish that one :( Great pick! This sounds like a good read, and very different to anything else I've ever read. Great pick! Wanna know what has us on pins & needles? I love it when that happens! Read an ARC and then love it so much that you have to own it! Have several of those in this year alone! This one does sound different than the others on the same topic of teen pregnancy. I will have to keep my eye out for this. Great pick! This sounds very interesting & good! New follower. 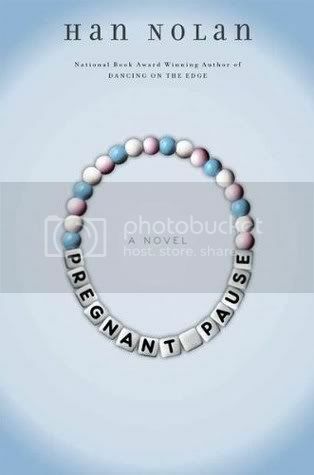 I love pregnancy books and this one sounds really good. I haven't heard of this book before, but I haven't read many teen pregnancy books before, so that may be why. I found you through Eating Y.A. Books, nice to connect. I like your blog and will be following from now. Have a great week. I have this one from netgalley I am going to try read it soon sounds really good. Teen pregnancy is interesting, though it's not something I would necessarily read. Still, sounds like a great pick! I read an egalley of this one a while back and like you, fell in love with it. It's such a great read and I can't wait until its official release!